After a hellishly long shift, the last thing I wanted to do on a Friday afternoon was go on a long bike ride to examine an unknown quantity/quality of records. But alas, this is what I do; duty calls. 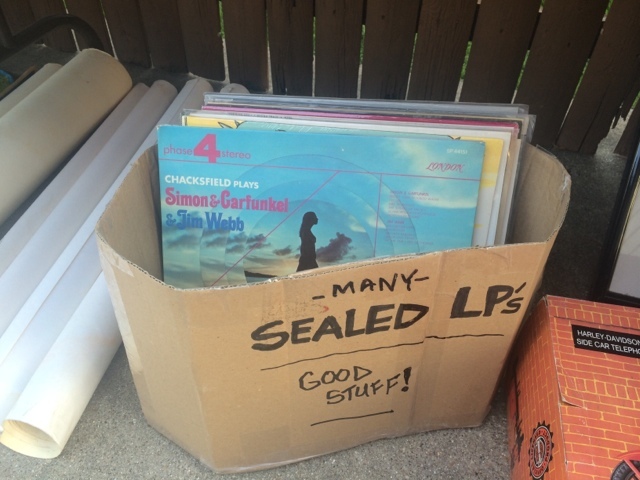 So I headed out to encounter this single box with less than 10 records. Alas, one of them was not only a candidate, but has proven to be excellently listenable. More than just a consolation prize. A trip well chosen.